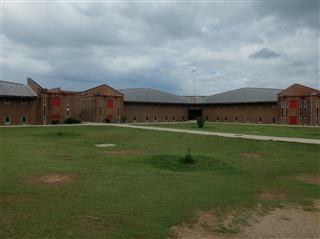 St. Clair Correctional Facility opened in June 1983 and is located on 600 acres in St. Clair County. The facility operates the Alabama Correctional Industries vehicle restoration and a chemical plant and provides on-site classroom settings for academic/vocational educational programs through Gadsden State Community College. St. Clair also provides a total care medical infirmary with complete dental care, dialysis, a cancer unit, emergency room, and diagnostic services through a private medical contractor. St. Clair is also home for the Department’s “The New Outlook Therapeutic Community Program. St. Clair is classified as a close custody correctional facility.